This music ensemble is open to youth and adults who can read music. A weekly commitment is important as all our ringing involves teamwork and the instrument is not complete without the whole team. Rehearsals are Wednesdays from 6:15-7:15 pm. This instrumental group for ages 3rd Grade and up focuses on note reading, teamwork, and ensemble playing on our melody chimes and bells. 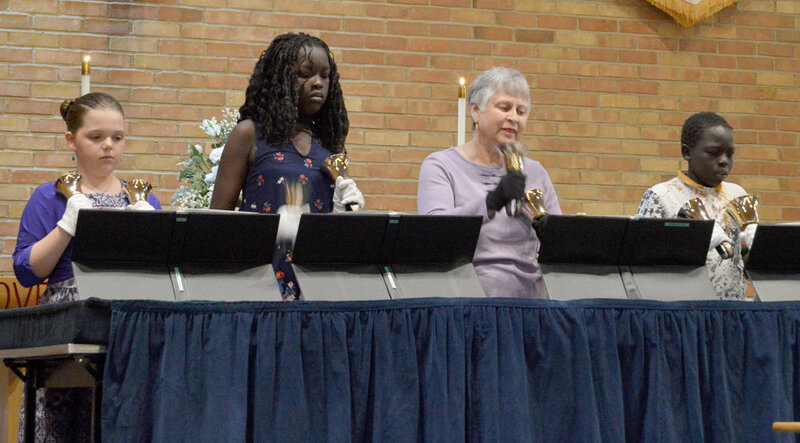 This group plans to share their talents during Advent, a Lenten service, and on Mother's Day in May. We also try to include a short daily session during the week of Bible school in June. Rehearsals are Wednesdays from 4:45-5:30 pm.